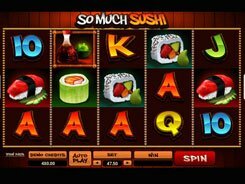 CashOccino is an amazing coffee-themed Microgaming’s slot with 5 reels and 30 paylines. The reels depict an assortment of thematic symbols, including Americano, Latte, Espresso, Bella Roma and other coffee images. Before setting the reels in motion, you should put a stake. 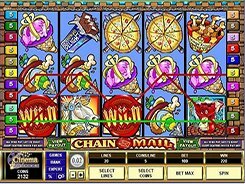 There are three betting settings available: the number of lines to wager on, the number of coins per spin (1–20 coins) and a coin size varying between $0.01 and $0.05. The top wager you can bet per spin is $30, which suits both low- and high-rollers alike. After the reels have stopped, you will see your winning combinations, if any, produced by matching symbols. 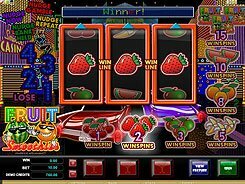 The winnings are paid according to the paytable available for viewing by clicking the View Pays button. A wild symbol is depicted by the CashOccino logo. A wild has the power to stand in place of other symbols needed to complete a winning payline. 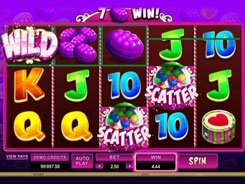 The logo does not multiply cash awards when substituting, but hitting five wilds on any active payline unleashes a fixed jackpot worth 10,000 coins. The Golden Coffee icon is a scatter that triggers fifteen free games with all wins tripled. 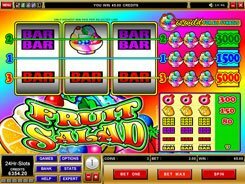 The free spins round can be retriggered if 3 or more scatters occur during the free spins. 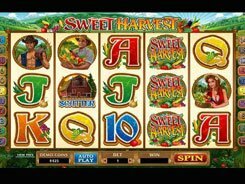 The cash award earned during the bonus feature will be added to your balance automatically when there are no more free spins left. PLAY FOR REAL MONEY!